A considerable part of parenting is pretending moods that you do not entirely feel. 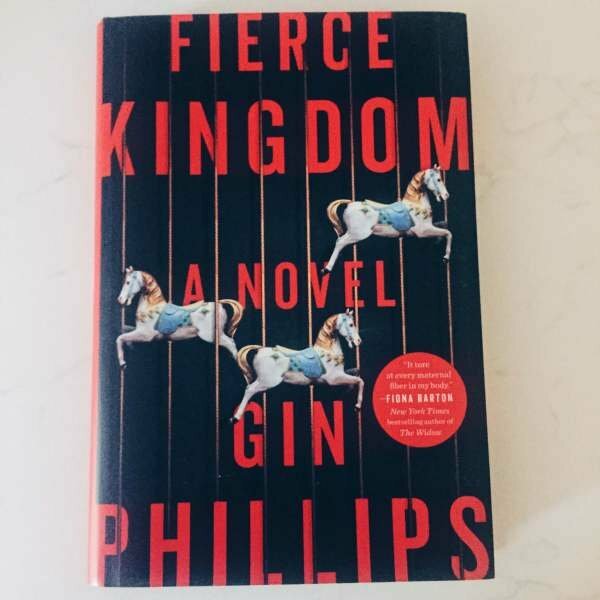 Fierce Kingdom by Gin Phillips is a multiple POV book with the main character being Joan. Joan is at the zoo with her 4year old son Lincoln. They are hurrying to the exit at closing time worried she has waited too long and she won’t make it. When she gets to the front of the zoo she notices something is very wrong. You follow Joan on her nightmare night stuck in the zoo, where she must make impossible decisions to try and keep her little boy alive. This book was full of emotion and struggle. It shows the lengths a mother will go to and the decisions she will make to protect her child. You can feel her love for Lincoln and her fear of losing him. She makes unimaginable choices even to herself ones she cant even believe. This was a thrilling book that kept me interested to the very end.